You need specific EMS training supplies and equipment when training with electric impulses. 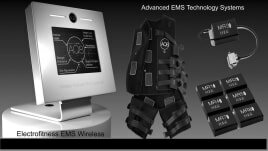 There are EMS electrodes that are installed to the EMS vest in order to conduct the power to the body. The vest is connected to the EMS device via an EMS training cable. You also need a chipcard to save the personal settings of the training person. You can put all of the EMS training accessories on the EMS workstation in order to store it. EMS coaches, who do home visits, can use a handy suitcase to carry the EMS training accessories to the customers. 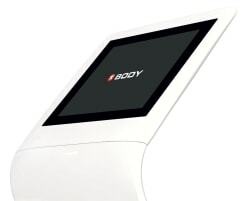 Brand leader of the EMS sector is miha bodytec. The manufacturer offers a lot of EMS training accessories and places much importance on high quality. All of its products are made in Germany. Other manufacturers are bodyficient and amplitrain. They also have many accessories in addition to their EMS devices. You are interested in buying new or used accessories for EMS? Then take a look around on fitnessmarkt.com! 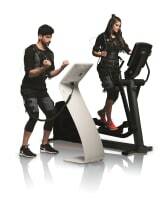 Regardless of whether you are searching for EMS electrodes, EMS cables, an EMS belt or EMS workstation, on fitnessmarkt.com you will surely find the proper EMS training supplies and equipment. 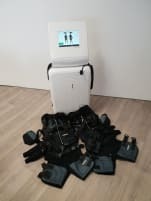 On the biggest marketplace for new and used fitness and therapy equipment, manufacturers, gym owners and private persons advertise their new and used EMS training accessories. 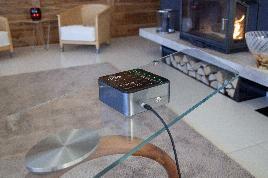 You can get in touch with the seller by using the contact form or the provided contact data. On fitnessmarkt.com, you can also sell new or used EMS training accessories of course. 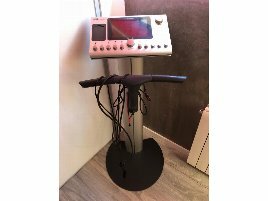 Everyday, owners of gyms or micro gyms and private persons are searching for proper accessories for training and surely are interested in your new or used EMS equipment as well. You can create an ad in just a few steps on fitnessmarkt.com. For that, you should give a detailed description of your new or used EMS training accessories and upload some pictures, so that potential buyers can get an impression of the equipment. You can also book a highlight ad at 65,39 Euro for a duration of four weeks. Such ads of new or used EMS training accessories are highlighted in color, appear on the front page of our platform and are listed among the first ads of the category. You can find further information about EMS training on EMS-Training.de, the biggest search and information portal concerning EMS training. There you can get a lot of information about the new trend EMS and read many interesting articles, experience reports, expert advice and much more in the magazine. Furthermore, you find a lot of providers of EMS training throughout whole Germany and Austria. Surely, you will find a proper EMS studio nearby.